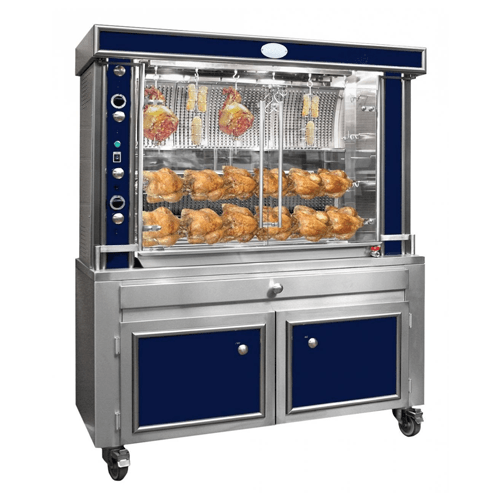 Designed for front of house cooking, the stunning range of Inotech legend rotisseries create a truly magnificent centrepiece in any supermarket, butchers or restaurant. 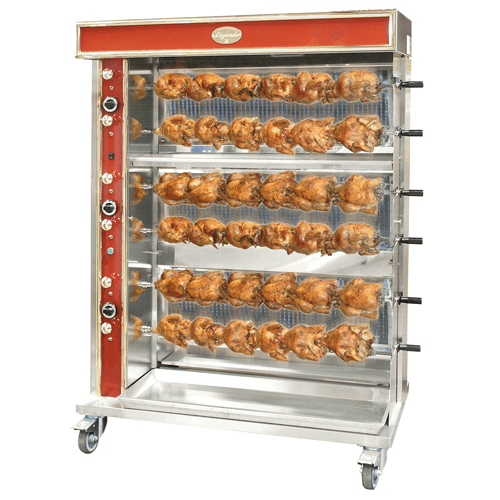 With a capacity of 6 chickens per spit, cook between 24 & 48 chickens at a time depending on your chosen model. The quality of product produced on one of these rotisseries is second to none. Produce juicy and tender chicken, duck, turkey and pork that your customers will love. 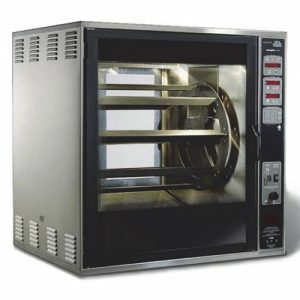 Inotech rotisseries are hugely versatile and available in 3 different sizes with a large variety of optional extras. These rotisseries can be used both indoors and outdoors.